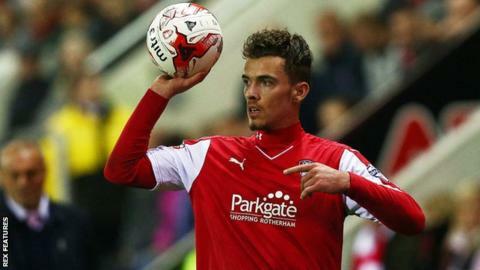 Peterborough United have signed left-back Harry Toffolo on loan from Norwich City and midfielder Adil Nabi from West Brom for an undisclosed fee. Toffolo, who will stay until the end of the season, played seven times on loan at Rotherham earlier this term. The 20-year-old spent much of last season on loan at Swindon, appearing 30 times for Posh's League One rivals. Ex-England U17 man Nabi, 21, failed to play a first-team game for Albion and has joined on a contract until 2019. He has recently been on loan at Delhi Dynamos in the Indian Super League.